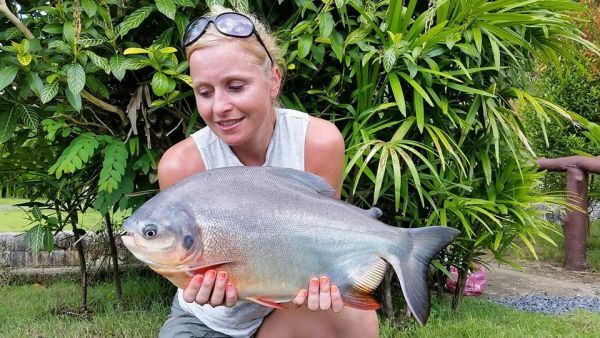 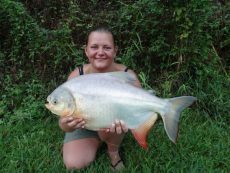 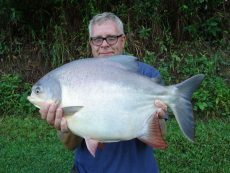 The small lake has 27 species in sizes ranging from 1lb to 30lb, we provide one fishing rod and reel, landing net, rod rest, unhooking mat, plus end tackle. 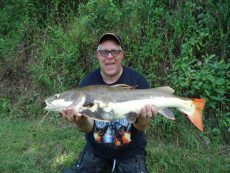 You need to bring your own unhooking aid i.e forceps or long nose thin pliers. The standard set up provided is for ledgering, float fishing works well but you need to bring tackle for this. 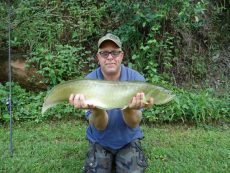 We recommend a 4ssg waggler float split shot and size 6 or 8 hooks. 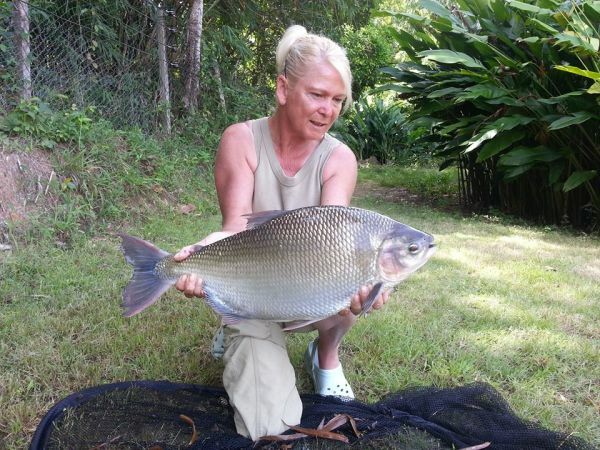 Fishing times on the small lake are between 8-00am and 6pm, we do not provide guides on this lake. If you are booked on the main lake to fish, there is no charge to fish the small lake during your fishing days. 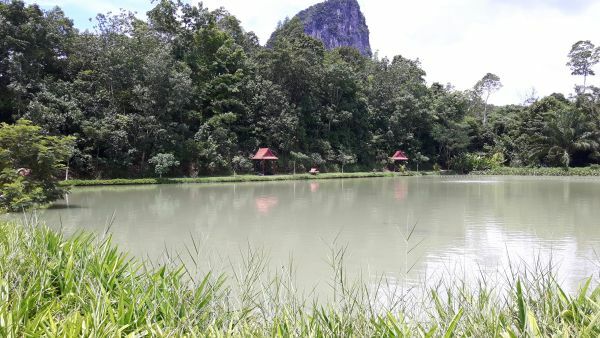 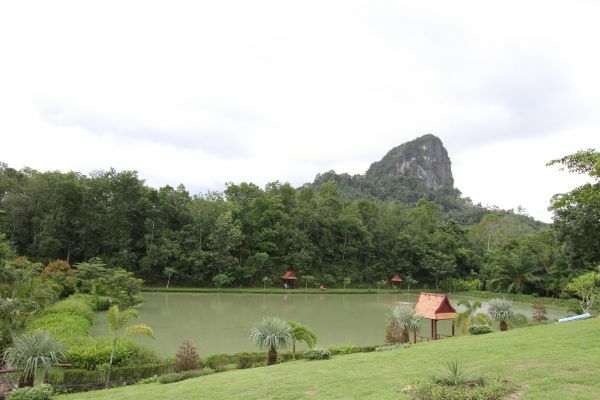 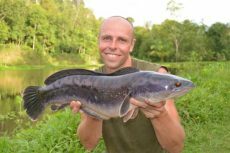 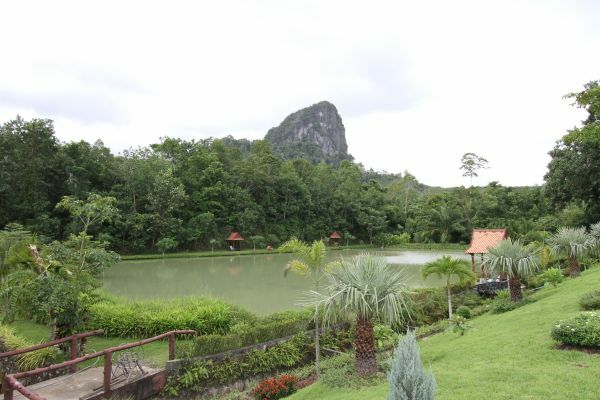 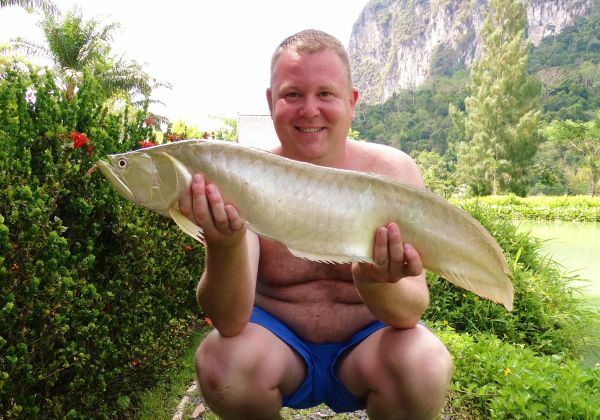 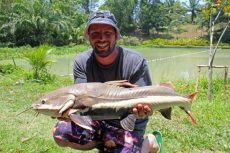 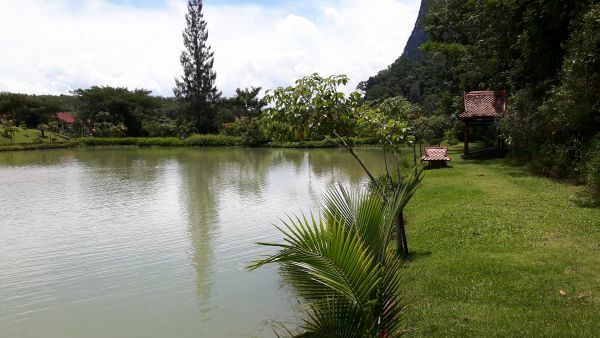 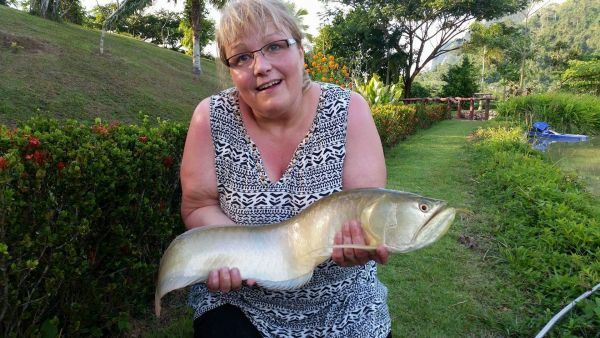 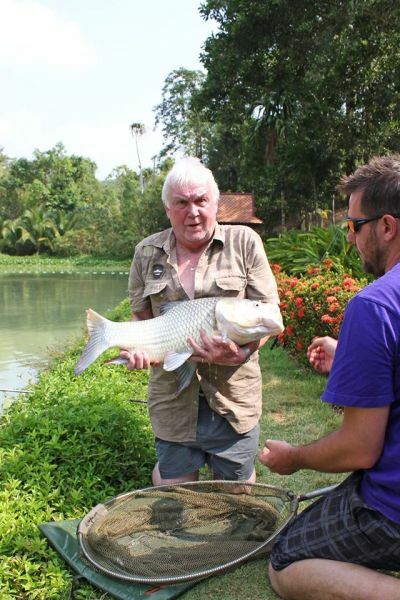 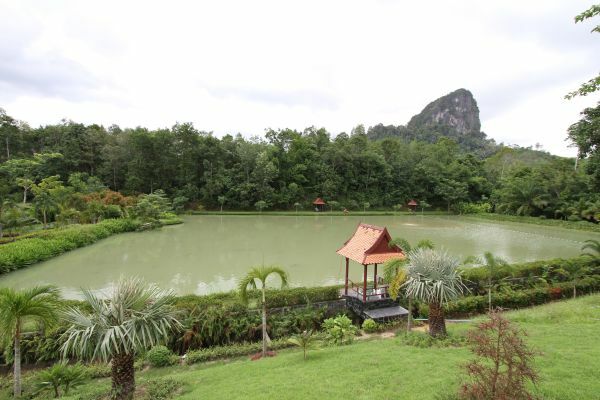 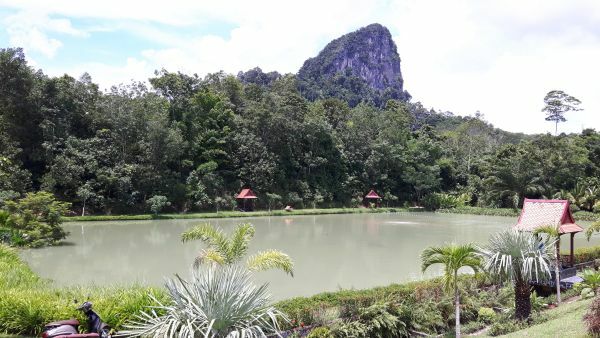 If you are staying at the resort and you want to fish on the small lake on a non-fishing day, then the cost is 400 baht per angler per hour. 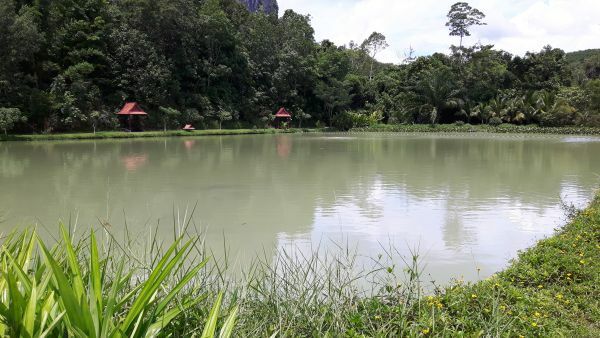 The small lake can only be fished by customers who are staying at the resort. 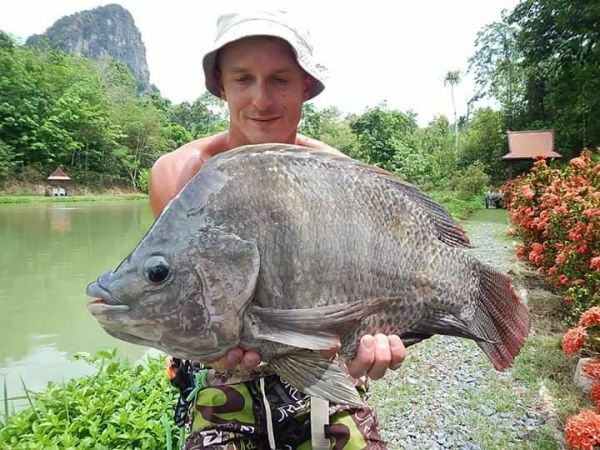 Species available are; arawana, Amazon and Asian red tail catfish, brycon, peacock bass, tarpon, golden dorado, snake head-giant, striped, and cobra, Thai maser, wallago attu, giant and spotted feather back, pacu, Hovens carp, mrigal, Julian’s golden prize, bambooza, Siamese carp, Mekong catfish, striped catfish, tiger catfish, tilapia, java barb, giant gourami and one Goliath tiger fish. 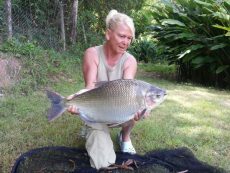 We provide 3lb tc carp rods with a baitrunner reel and an inline lead set up, we do not supply any other rods, reels or set ups. Customers can bring their own gear. 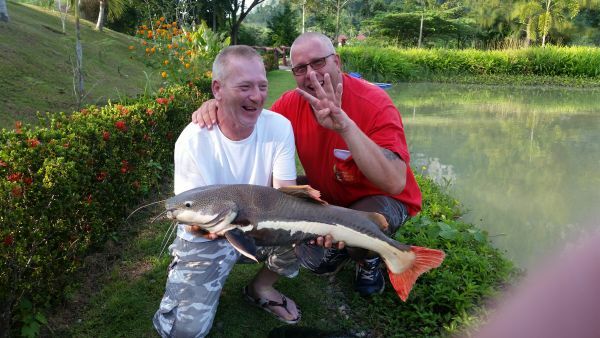 1 ¾ lb tc barbel rods are perfect, 6 to 8wt fly rods, any lure rod that suits the customer. 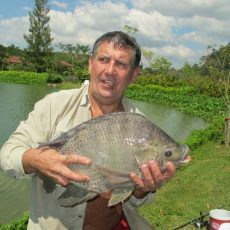 For lure fishing any light drop shot rod, drop shotting with perch type lures and tackle works well. All lures must be soft rubber and single hook, for casting ¼ to ¾ oz rod small reel 30lb braid. 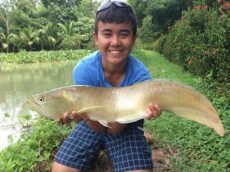 Lures soft rubber small lures single hook, you are trying to imitate fry. 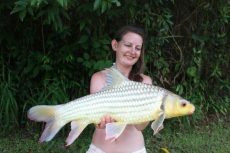 We allow wire up to 35lb tc for lure fishing on the small lake only. 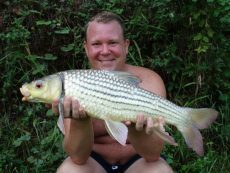 Fly fishing any trout patterns work, especially weighted nymphs, tadpoles and fry imitations. Maximum hook size is size 4. 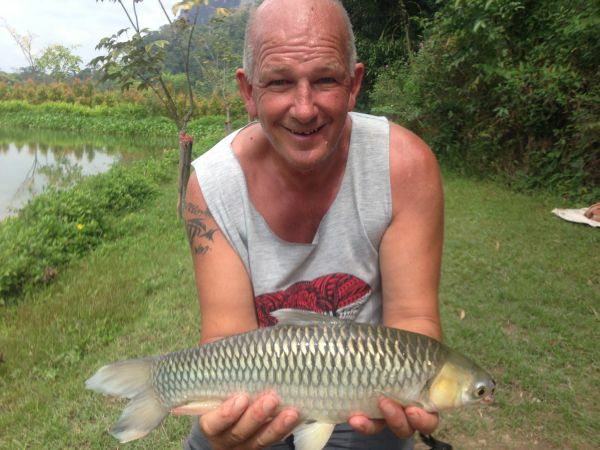 Any small pellets or mini boilies work well. Plastic corn is worth bringing. 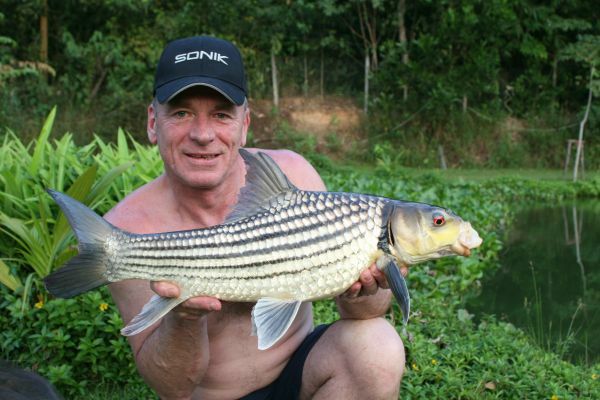 We do not allow any plastic baits over 6mm. 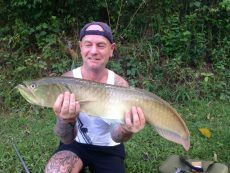 As mentioned above; you do not need to bring any of the above tackle unless you wish to make your own rigs, our bait catches lots of fish but sometimes a change might bring a few extra fish. All tackle is checked on arrival and our decision on its use is final, all anglers have to read our rules and sign agreement of them prior to fishing. Please see our rules and equipment. 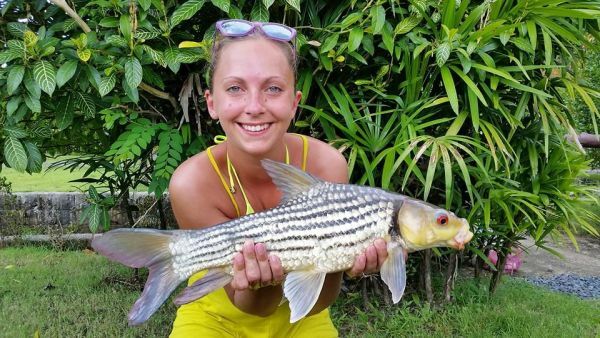 You can check out the fun to be had on the small lake at Gillhams in these Rod off videos!